Galaxy tab s4?s lte speeds of up to at least one gbps give you more time to get things completed. and with 64gb internal storage and an additional reminiscence of as much as 400gb via the microsd card slot, you have plenty of area to shop documents and motion pictures.dolby atmos contributes transferring audio technology, enabling 3D surround sound with an delivered overhead size that brings the display to lifestyles. Disclaimer : Samsung Galaxy Tab S4 LTE 10.5 Inches (SM-T835) price in Pakistan is updated on daily basis and rate/price for Samsung Galaxy Tab S4 LTE 10.5 Inches (SM-T835) is valid for all cities of Pakistan included Islamabad, Rawalpindi, Lahore, Karachi, Faisalabad, Peshawar, Sialkot, Quetta etc. 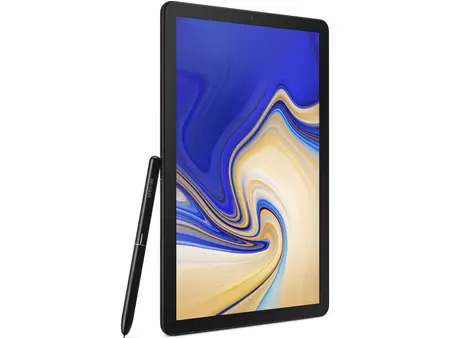 Samsung Galaxy Tab S4 LTE 10.5 Inches (SM-T835) price depends on many factors thats include the price of dollors, manufacturar price and import cost and duties etc. Our team entered specs from diffrent resources and not responsible for any typo error in specs for Samsung Galaxy Tab S4 LTE 10.5 Inches (SM-T835), please report any such error in bug report panel for Samsung Galaxy Tab S4 LTE 10.5 Inches (SM-T835). Samsung Galaxy Tab S4 LTE 10.5 Inches (SM-T835) price in Pakistan.